Historians have dated the dawn of modern jazz in Los Angeles to December 10, 1945: the Jazz is one of the very few musical genres that has a capitol. The capitol of country music may be Nashville, but the capitol of jazz is New York City — and if a jazz musician does not play and record extensively in New York, their chances of becoming well known are greatly reduced. This has been the case for literally decades, going back to a time when the city was the center of the recording industry; especially the jazz recording industry. In the 1950s, alto saxophonist Sonny Criss would find this out the hard way. Other 1940s-50s era Los Angeles musicians such as Dexter Gordon, Charles Mingus and Eric Dolphy would all go east and become famous. Criss, along with Harold Land, Buddy Collette and Teddy Edwards (among others) stayed behind. While they continued to play and record great jazz — mostly for smaller West Coast labels, only in the last couple of decades did they begin to get the recognition they deserve. Sonny Criss’ recognition should have started in the 1950s with a trio of excellent LPs made for the L.A. based Imperial label. But the fact that Imperial was not specifically a jazz label — and would record very little jazz over the course of the company’s life — ensured that Criss’ best early efforts would be available for only a couple of years when they were released and today are virtually impossible to find. 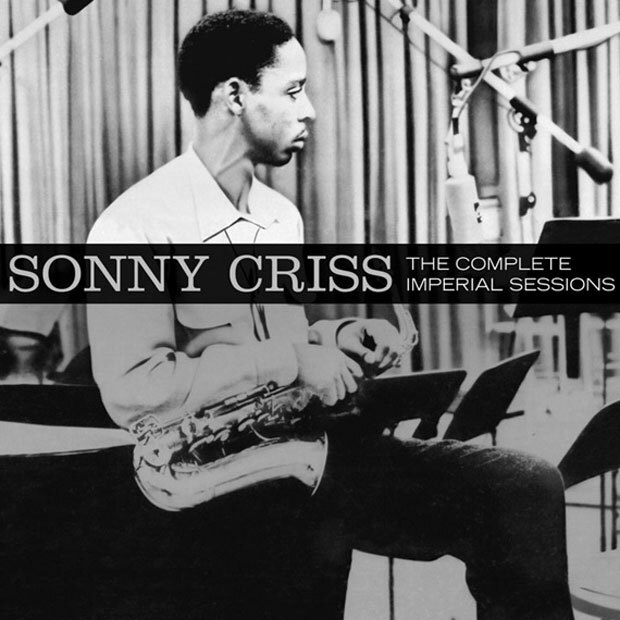 Now Sonny Criss – The Complete Imperial Sessions (Phono 870331) collects together all three LPs Criss recorded for the label. The sessions presented here were all recorded in Los Angeles between January and October of 1956 and present Sonny with a stellar lineup. The first session — originally issued as Jazz USA — features Kenny Drew on piano and Barney Kessel on guitar. The other sessions (originally issued as the LPs Go Man and Sonny Criss Plays Cole Porter) feature the legendary Sonny Clark on piano — a full year before Clark moved to New York where he was soon discovered by Blue Note. Without exception, everybody plays in top form. Criss’ playing has a crisp precise approach. Though heavily influenced by Charlie Parker (notably on “Wailin’ with Joe”), he was no Bird clone. Criss’ playing has a crisp precise approach. Though heavily influenced by Charlie Parker (notably on “Wailin’ with Joe”), he was no Bird clone. His handling of slow blues and ballad material is every bit as engaging as on the faster tunes, especially on ballads such as “Willow Weep for Me” and “More Than You Know.” The sessions feature mostly standards, which indicates that there was probably minimal rehearsal for the dates. That all the tunes come off so well is yet another indication of the caliber of the musicians involved. As bonus tracks, this two CD set also includes Criss’ only LP for the Houston, Texas based Peacock label — a label known almost exclusively for blues and gospel recordings. Another legendary lost album, this excellent record features the alto saxophonist with trombonist Ole Hanson, pianist Wynton Kelly, bassist Bob Cranshaw and drummer Walter Perkins. One of only two non-gospel LP releases on Peacock, At the Crossroads received very limited release outside of Peacock’s home base of Houston and, like the Imperial LPs, was out of print almost as soon as the LPs were pressed. The 1960’s turned out to be a bit rocky for Sonny Criss. After the Peacock LP in 1959, Criss would have to go to Europe in 1962 for an extended stay for his next recording opportunities. Several excellent LPs resulted, but Criss would not record again until back in the States in 1967, when he signed with Prestige Records. In the early 1970s’ he did a couple records each for the Muse, Xanadu and Impulse labels before his untimely death in 1974. Had Criss recorded more for the New York based jazz labels and toured more throughout the United States, he would certainly be better remembered today. The Complete Imperial Sessions should re-awaken people to just how good he was.